Drooling occurs when saliva falls out of the mouth. Unlike dogs, cats are not prone to drooling. There are some cases when drooling is normal, for example when a cat is happy (and kneading) they sometimes drool, or due to certain bitter tasting medications. Also referred to as dribbling, hypersalivation, sialorrhea or ptyalism, drooling is the flow of saliva from the mouth. Saliva is continuously secreted by the salivary glands; its function is to keep the mouth moist and aid digestion. Cats have five salivary glands, parotid, mandibular, zygomatic, molar and sublingual. The autonomic nervous system controls saliva production. Drooling can either be caused by overproduction of saliva, spillage of saliva from the mouth or difficulty swallowing saliva. Cats aren’t as prone to drooling like dogs. Some harmless causes may result in drooling. When they are being petted or about to be fed, this is a sign of excitement and pleasure. Some cats will knead and drool at the same time when they are being stroked. Cats will often drool when they have consumed catnip. Certain prescription medications can also cause drooling or foaming at the mouth due to the bitter or unpleasant taste. 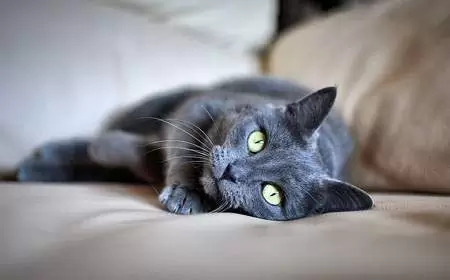 If drooling is not normal for your cat, and suddenly occurs for reasons other than those listed above, it can be a sign that there is something wrong. Disorders of the mouth are one of the most common causes of drooling in cats. Common oral problems include gum disease, tooth abscess, stomatitis, feline odontic resorptive lesions, and gingivitis. Symptoms: Bad breath, drooling, difficulty or reluctance to eat, weight loss, red gums, pain. Treatment: An abscess will be lanced, drained and packed, antibiotics will be administered. A thorough clean of the teeth above and below the gumline to remove dental plaque for cats affected with gum disease and gingivitis. Antifreeze, snail bait, toxic plants, laundry detergent, household cleaning products, bleach, liquid potpourri, mercury, copper, arsenic, poisonous toads, chocolate, glow sticks, mercury. Many of these products are not only toxic but also corrosive, which causes ulceration in the mouth and esophagus. Symptoms: This depends on the poison ingested. Bitter tasting substances can cause drooling, other common symptoms of poisoning include vomiting, diarrhea, increased or decreased thirst, seizures and urination, wobbly gait (ataxia) and collapse. Treatment: Gastric decontamination if the poison was ingested in the past four hours, which can include induce vomiting (unless a corrosive has been ingested) or pump the stomach, activated charcoal to bind to the remaining toxin and prevent further absorption, antidote (where available) and supportive care such as medications to control nausea, anti-seizure medication, dialysis, and fluids. Inflammation of the pancreas due to activation of digestive enzymes which begin to break down and digest the pancreas. There are several causes of pancreatitis in cats which include obesity, infection, trauma and too much fat in the diet. Symptoms: Fever, abdominal pain, vomiting, diarrhea, loss of appetite, weight loss and yellow gums. Treatment: Address the underlying cause as well as supportive care including pain relief, anti-nausea medication, fluids and nutritional support. Bitter tasting medications can cause an increase in salivation as a way to clear the taste from the mouth. Common types include antihistamines, metronidazole (Flagyl) and sulfa antibiotics. These medications have a bitter taste and can cause drooling if the cat has licked his coat after administration. Treatment: Offer the cat a drink of water, lactose-free milk or a meal to wash away the taste. Always apply topical flea treatments to the back of the neck, between the shoulders. Such as a twig or a bone fragment. Other symptoms may include pawing at the mouth. Symptoms: Drooling and pawing at the mouth. Treatment: Remove the object, if this is not possible, consult your veterinarian. Most commonly food, but cat toys, threads, and bone fragments can also become stuck in the throat. Symptoms: Drooling, pawing at the mouth, difficulty breathing. Treatment: Perform the Heimlich maneuver and consult your veterinarian. Inflammation of the esophagus, the muscular tube which connects the throat to the stomach and is responsible for the peristalsis of food in which wave-like contractions move food down the esophagus and into the stomach. Reflux, certain medications, foreign object, hairballs, cancer, hiatal hernia, thermal burns, prolonged vomiting and radiation therapy, can all damage the esophagus. Symptoms: Drooling, difficulty swallowing, painful swallowing, reluctance to eat, weight loss, regurgitation of food and constant gulping. Treatment: In some cases, inflammation will resolve in time; other causes will need the underlying cause addressed. Dietary changes to protect the esophagus and decrease gastric acid production such as a low-protein, low-fat soft diet fed more often. Medications to reduce the production of gastric acid production and prokinetic agents such as cisapride or metoclopramide can strengthen the lower esophageal sphincter to prevent stomach acid refluxing into the esophagus. Small, painful lesions which may be due to uremic poisoning from chronic kidney disease, cat flu, pemphigus, ingestion of toxins and thermal burns. Symptoms: Small, painful, white or red lesions, drooling, difficulty eating or a complete loss of appetite. Additional symptoms may be present depending on the underlying cause. Treatment: The goal of treatment is to find and manage the underlying cause. Flu will require supportive care while their body fights the infection; antibiotics may be prescribed to treat secondary infection. Pemphigus is treated with immunosuppressive drugs. Thermal burns require supportive care, painkillers, and antibiotics to prevent secondary infection. Low protein diet for cats with kidney disease as well as supportive care. A life-threatening condition which occurs when the cat is in a warm environment and is unable to cool himself sufficiently. There are more than twenty types of cancer which can develop in the oral cavity of cats with squamous cell carcinoma being by far the most common (approximately 70%), followed by fibrosarcoma (20-10%), other less common tumours include melanoma, lymphoma, osteosarcoma, granular cell tumours, fibropapillomas, hemangiosarcoma and ameloblastomas. Symptoms: Lump in the oral cavity, drooling, difficulty eating, weight loss and bad breath. Treatment: Surgery (where possible), radiation or chemotherapy, and supportive care. Not all nauseous cats vomit, just feeling sick can be enough to cause drooling. Common causes of nausea include motion sickness, liver disease, anemia, food intolerance, medications, kidney disease, motility disorders, pancreatitis, hypoglycemia (low blood sugar), stomach ulcer, gastrointestinal blockage, hepatic lipidosis, and hyperkalemia. Symptoms: Drooling, lip-smacking, loss of appetite, additional symptoms can vary depending on the underlying cause. Treatment: The goal of treatment is to find and address the underlying cause. Your veterinarian may prescribe anti-nausea medications to relieve symptoms. Also known as GERD (gastroesophageal reflux disease), reflux is a condition in which gastric juices flow back from the stomach and into the esophagus. Symptoms: Regurgitation of food, drooling, pain when eating, bad breath, loss of appetite and weight loss. Treatment: Address the underlying cause where possible. Protect the esophagus from further damage with the use of antacid medication to inhibit the production of stomach acid. Low protein and low-fat diets and your veterinarian may recommend your cat be fed small meals more often. The baby (deciduous) teeth erupt around the second week of life, and from 3-4 months kitten teeth are slowly replaced by the adult teeth. Some kittens may drool during this process. Symptoms: Drooling, chewing, red gums, bad breath. Treatment: None required although providing the kitten with something to chew on can relieve symptoms. A bacterial infection which releases a neurotoxin causing painful muscle contractions and spasms. Symptoms: Localised stiffness at the site of the wound, which may progress to generalised stiffness of the entire body including the jaw which can become locked, this makes eating and drinking difficult. Seizures may develop in advanced cases. Treatment: Clean and debride the wound, antibiotics to kill the bacteria, sedatives to control spasms and seizures, nutritional support and cage rest while the cat recovers. A neurological disorder which causes a disturbance of the electrical activity in the brain. There are several causes of epilepsy including inherited, idiopathic (no known cause), tumours, toxins, head trauma, infections, inflammation, bleeding into the brain, kidney disease, liver disease, thiamine deficiency, and abnormal heartworm migration. Symptoms: Muscle twitching, involuntary vocalisation, champing or chewing, drooling or foaming at the mouth, loss of consciousness, involuntary urination or defecation. Treatment: Manage the underlying cause if one can be found and where necessary anti-seizure medication such as Valium. Most broken jaws occur as a result of a serious trauma such as a car accident, gunshot wound, kick or a fall from a height, resulting in the cat smashing his jaw on the ground. Drooling is the result of the cat’s inability to close his or her mouth as a result of the fracture. Symptoms: Unable to close mouth, reluctance to eat, facial deformity, bleeding from the mouth, broken or missing teeth, pain. Treatment: Surgery to fix the bones and re-align the jaw and supportive care which will include a soft diet while the cat recovers and analgesics to relieve pain. The paralysis tick feeds on the blood of its host (the cat) and injects a powerful neurotoxin into the blood which if not treated cause paralysis and death. Symptoms: Wobbly gait which progresses to paralysis, dilated (large) pupils, change in meow, drooling and incontinence. Treatment: Tick paralysis is a medical emergency and requires immediate veterinary care. Antiserum to counteract the effects of the toxin and intensive supportive care which may include oxygen, intravenous fluids, eye drops, and cage rest. There are many possible causes of neurological disturbances including cancer, rabies, seizures, poisoning, congenital disorders such as hydrocephalus (water on the brain), infectious diseases such as feline infectious peritonitis and bacterial infection which originate in the middle ear before progressing to the brain, neurotoxins from spider or snake bites, trauma, and liver disease. Symptoms: Behaviour changes, seizures, aggression, drooling, loss of coordination. Treatment: Treatment depends on the underlying cause. Rabies and pseudorabies are almost always fatal. Infections may be treated with antibiotics to kill bacteria as well as supportive care. Anti-seizure medications can control seizures. Also called Aujeszky’s disease or mad itch, pseudorabies, which means false rabies, is an acute and highly fatal viral disease caused by a herpes virus (Su-HV1). Symptoms: Behavioural changes, shortness of breath, unsteady gait, muscle stiffness, head pressing, circling, fever, collapse, and coma. Treatment: Sadly there is no treatment for pseudorabies, and the disease is always fatal. Rabies is a fatal infection of the central nervous system caused by the virus belonging to the Rhabdoviridae family. It is found in nearly all warm-blooded mammals and is of great concern due to it being zoonotic (transmissible from animals to humans). Symptoms: Fever, increased vocalisation, restlessness, aggression, irritability, muscle tremors, incoordination, paralysis of the throat, drooling, respiratory failure, coma. Treatment: Rabies is always fatal, and euthanasia is the only option. Prevention: Vaccination in endemic areas and do not let your cat roam or hunt. If your cat appears to be otherwise happy and well with no additional symptoms a wait and see approach may be all that is necessary. 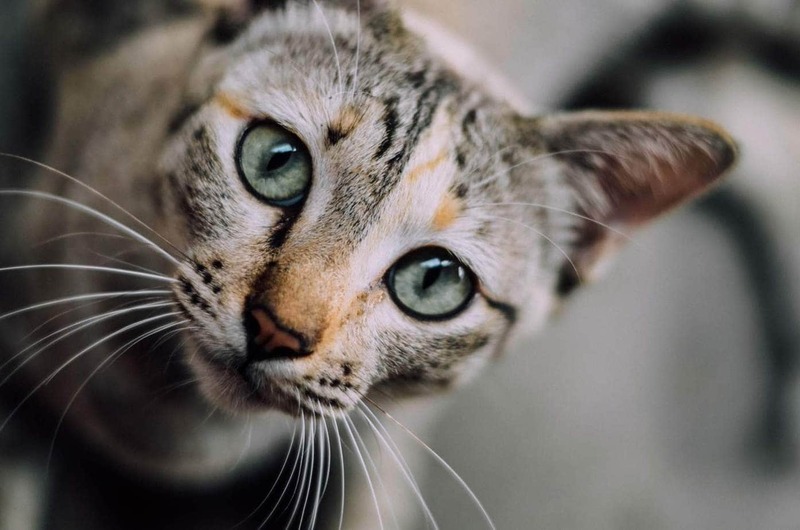 If however, your cat is still drooling after a day, or if you notice any other symptoms accompanying the drooling, see a veterinarian immediately. Your veterinarian will perform a complete physical examination of your cat. Accompanying symptoms (if any) may help to narrow down the cause of drooling. During the examination, your veterinarian will check the mouth for signs of dental problems, cancer or a foreign object in the mouth and assess the overall condition of your cat. Sedation may be necessary for a thorough oral exam. Any other symptoms besides drooling? Has the cat has had access to any poisons or medications? How long has the cat been drooling? Baseline tests: Biochemical profile, complete blood count, and urinalysis. These can provide your veterinarian with a picture of the cat’s overall health. If there is a sign of infection, dehydration, and how the organs including the liver and kidneys are functioning. Ultrasound or x-ray: To evaluate the organs (liver, kidneys, pancreas) and look for tumours or a dental abscess. Biopsy and histopathology of oral tumours. Endoscopy: To evaluate for reflux. A thin tube with a camera at the end which is inserted into the esophagus and digestive tract. Specific blood tests: Additional tests may be necessary to diagnose pancreatitis, kidney, liver disease or infection.